Built in approximately 2000. 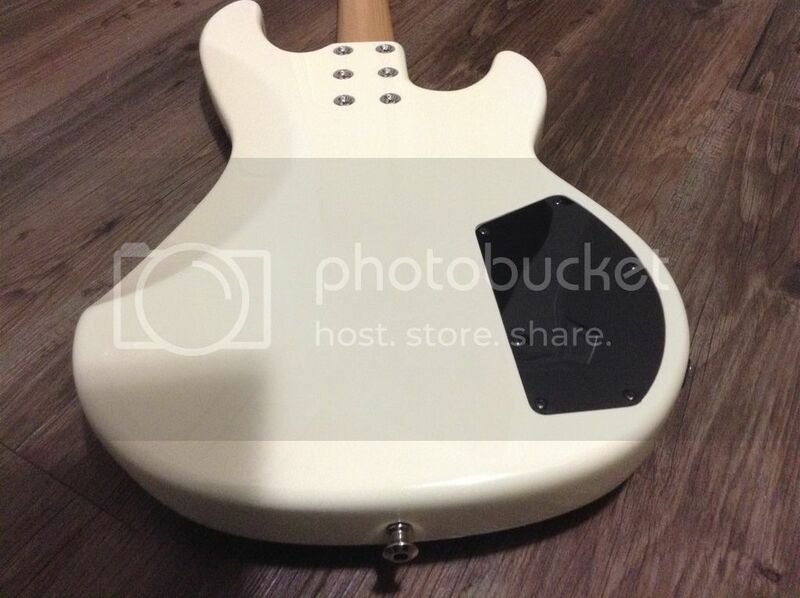 This is G&L's long running but now discontinued earlier version of a passive jazz. Its an L2000 body in lightweight alder with a 2 piece maple neck, passive alnico single coils and a nice thick slab of dark rosewood for the fingerboard. In near dead mint condition. No scratches, nicks, fretwear or issues of any kind other then a hairline crack in the plastic battery door but its not broken or falling apart, just a visible line in the plastic. All original save for Dunlop locking strap pins and I replaced the factory pickups with a set of 2007 USA Fender single coils that in my opinion made a big improvement. The stock pickups are included in the sale as well. Nothing wrong with them buy very bright and aggressive compared to the Fender pickups which are warmer, have more mid punch, growl and sweetness. Factory electronics are proper lefthanded pots that actually have a gorgeous full taper. The tone control alone allows for a ton of tonal variation. 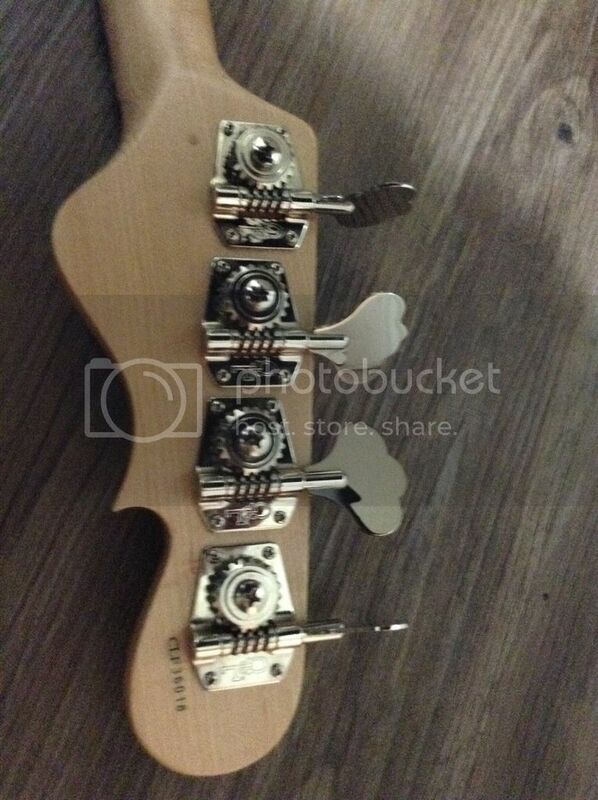 Set up with low action, a nice straight neck, very little relief and perfect playability. 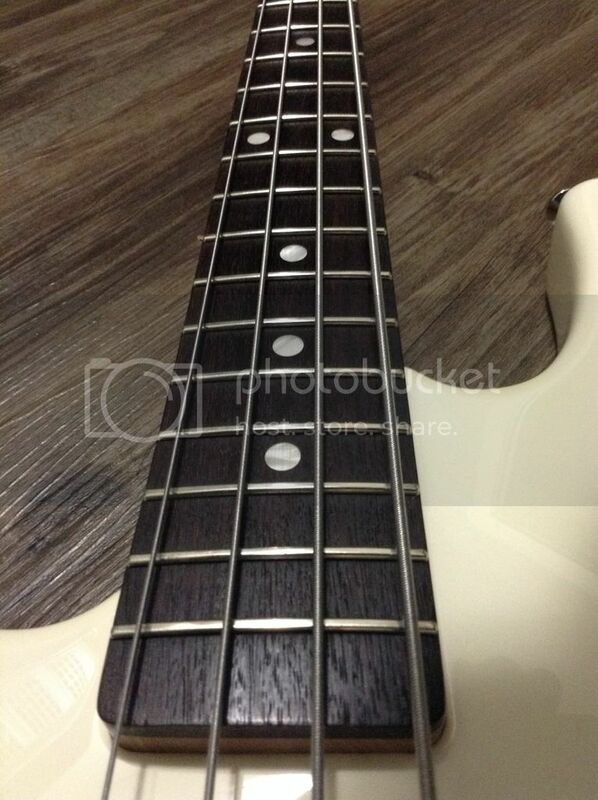 Sporting a new set of DR Fatbeams, frets are polished, fingerboard lubricated and its very very clean overall. I am extremely picky and do all my own setups. 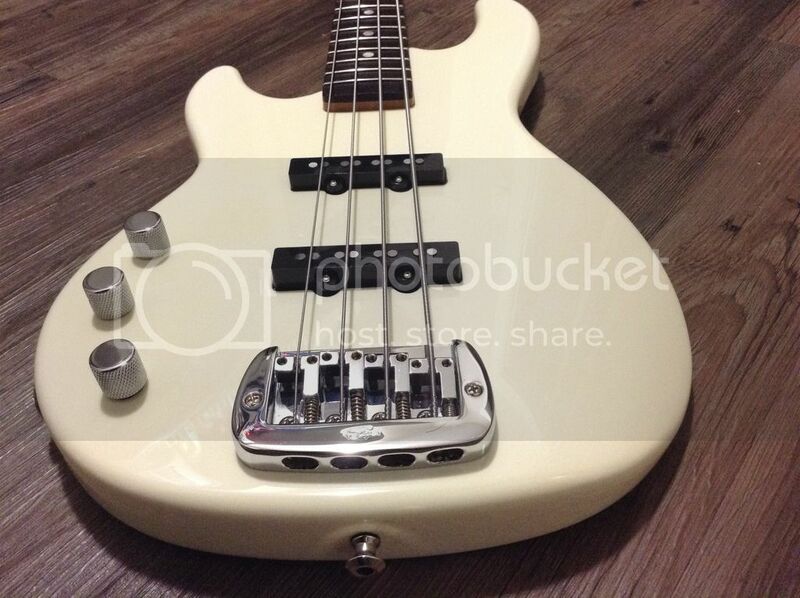 I have no issues at all with this bass, love the tone and playability but am a Stingray player at heart so this needs to go to someone who is looking for a light, comfortable passive Jazz. Included is a nice G&G hard case which I would swear was the factory case except it has a Fender logo near the handle. Will sell for $1000 USD shipped from Canada. 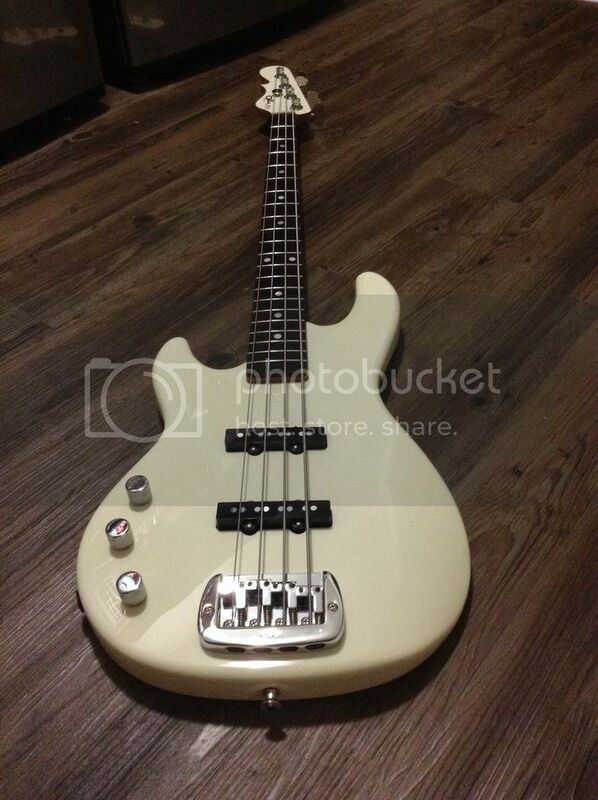 Will consider trades for a Stingray 4 or 5 or possibly a quality fretless. Hit me up with your trade offers! Geez, that's a gorgeous looking bass! 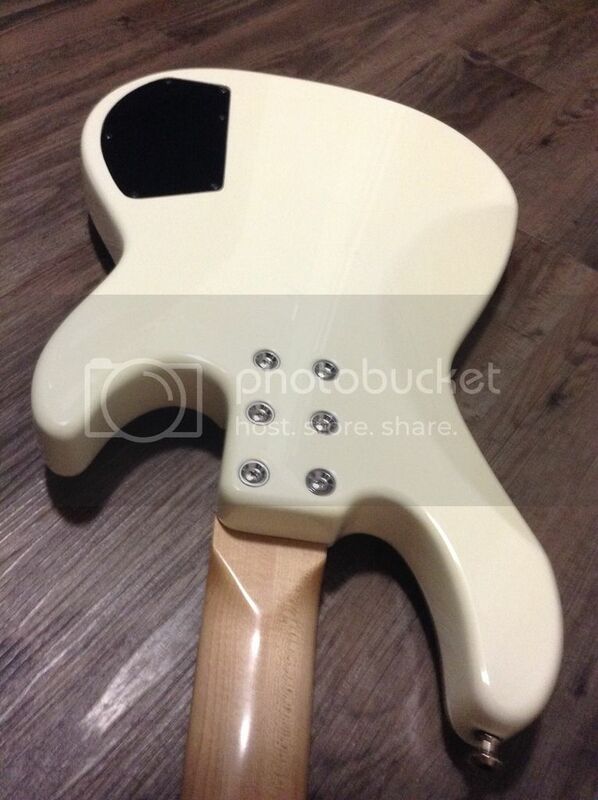 just can't afford Another Bass right now.... good luck with the sale! Yes, this! Maybe in the fall, if this is still available and things break right financially. But can't do it now. Well it looks like the Cites rules pertaining to shipping any instrument with a rosewood fingerboard, will prevent me shipping anything outside of Canada. Going to have to limit this to a sale or trade writhin Canada any fellow Canucks out there interested, hit me up for trade offers. I would trade for a nice acoustic as well. This whole CITES thing seems to be very confusing... what have you found out about shipping over your border that specifically stops you from selling to The U.S., or further? I thought that as long as you can prove the build date, and it was before the CITES restriction date, it would be OK to ship. From reading the "Frequently Asked Questions" section on the US Cites website, it's pretty clear that shipping a bass internationally is not allowed unless a full CITES certificate has been obtained. This is a laborious process that takes months to complete and you have to have documentation to prove specifics about the insturment. This can be hard to do for a older instrument. If I was to carry the bass into the US and use it to gig or jam with friends, there is no issue. 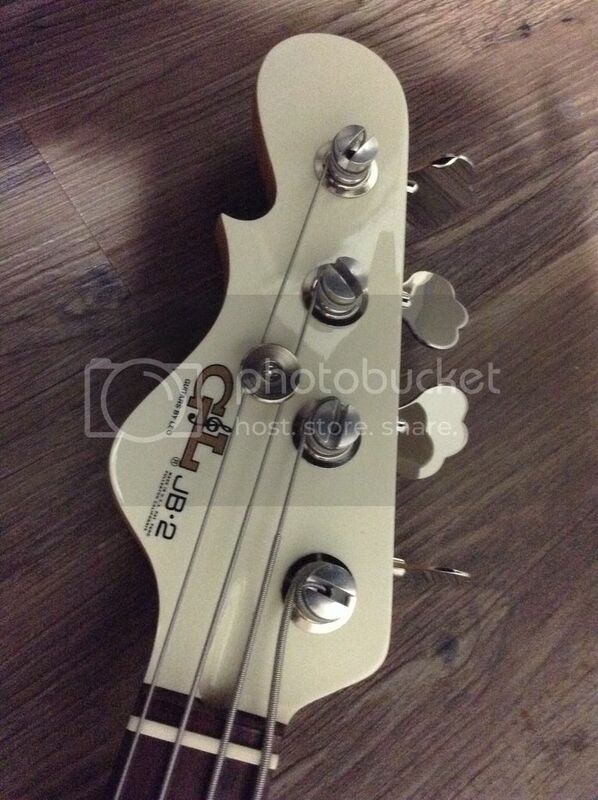 I can even buy a bass in the US and take it back with me to Canada and not have any issues other then Canadian duties and taxes, but it's when you try and ship an instrument across e border that it becomes an issue. There is zero recourse once the instrument is seized. US Customs does not have to prove anything. The onus is on the owner to have all required paperwork. There can also be hefty fines and possibly criminal charges involved as well. Their website's FAQ section is quite well done as it asks questions pertaining to individual instruments. I know I can't risk having a bass seized and not ever being able to get it back. 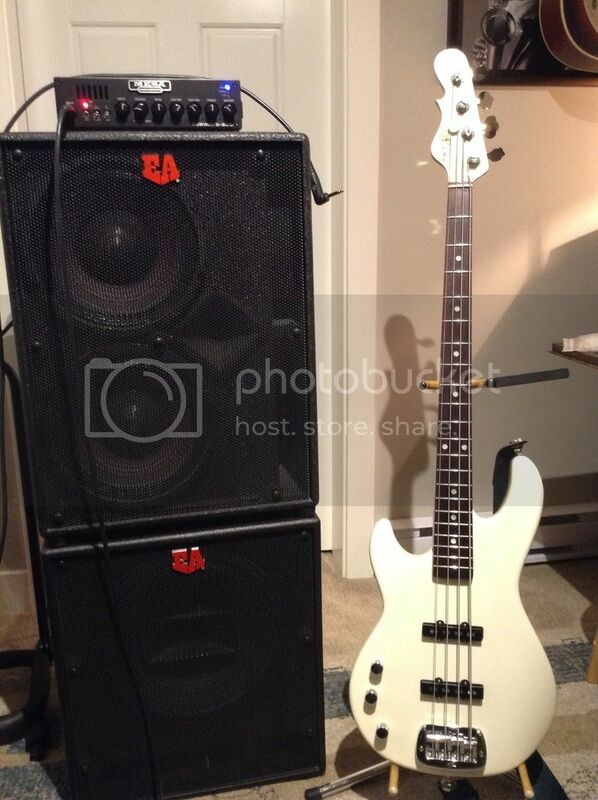 Sure takes the fun out of trading and buying used basses from my American fellow forum members I have to say. I sent an email to CITES Canada today trying to find out at least how the form look like and how much would it possibly cost. I'll share with you - and all our True North brothers - once I get an answer. Let's see if I can get an answer sometime soon.